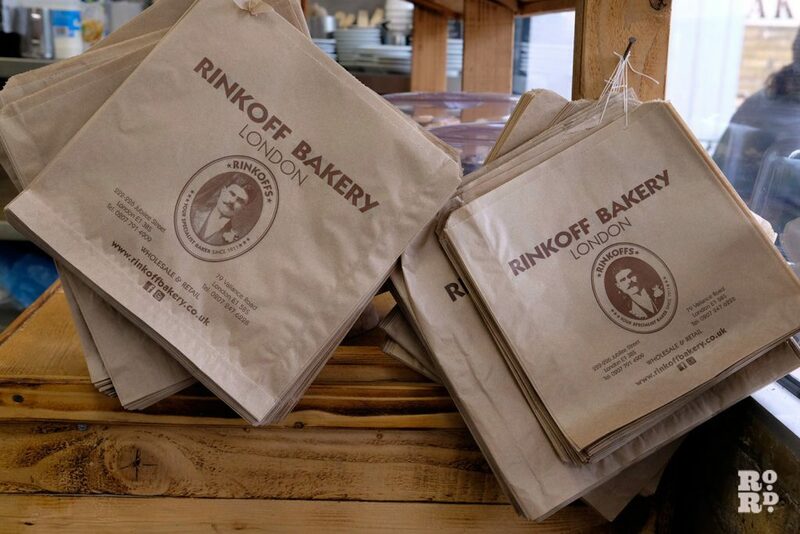 Synonymous with the East End, Rinkoff has been selling its beigels and breads to East Enders for over 100 years. Many of us have made the pilgrimage to its shop in Vallance Road, but did you know that their main bakery and shop is just off Mile End Road in Stepney? Rinkoff’s is a name that immediately evokes East London. Its traditional beigels and bakes have fed East Ender for decades. But where other East End baking stalwarts have sadly closed their doors, Rinkoff’s are going from strength to strength. 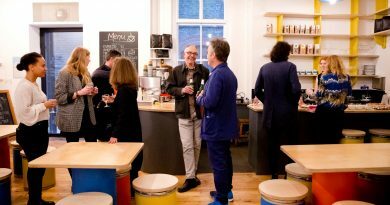 Rinkoff’s original store on Vallance Road and their main bakery and store on Jubilee Street, just off the Mile End Road, are thriving, having adapted to the social media age with their best selling ‘Crodoughs’ and with wholesale customers such as Google itself. And Rinkoff’s is still a family business. 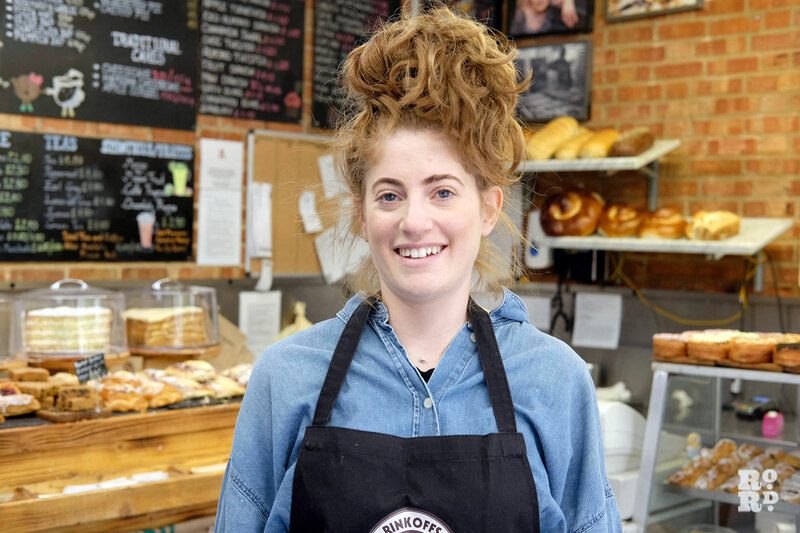 Jennifer Rinkoff, great-granddaughter of the founder of the business, told Roman Road London about heritage, crodoughs, vegan baking and much more. Rinkoff’s was founded in 1911 by Hyman Rinkoff, who fled from the Ukraine to England with his treasured family recipes. The original bakery was in Vallance Road, where they still have a store (it’s now more of a deli), but their head office, main bakery and shop are now all based in Jubilee Street, under an archway just off the Mile End Road – a sign now points the way after too many customers got lost searching for their famous crodoughs. The shop is open every day of the week and is very busy, a constant stream of people coming in and making orders at the counter while bakery stuff whisk in and out of the bakery door carrying trays of delicious treats. One customer stopped to chat, explaining that he’d been coming here for over thirty years – ‘it’s a really nice shop’. He usually goes for the rolls, he says, with cake being an occasional treat. ‘My wife would kill me if I ate too much cake’. Rinkoff, who has recently returned to the business from maternity leave, explained how she came to work in the bakery. When she graduated from university, she had different plans – she wanted to work in advertising, or in television. But time spent working as a runner and in TV production made her fall out of love with the media, and when her father Ray Rinkoff was working on an e-commerce idea for sourdough and wheat-free bread (‘he was about ten years too early’) she came on board to help out with marketing and got the baking bug again. 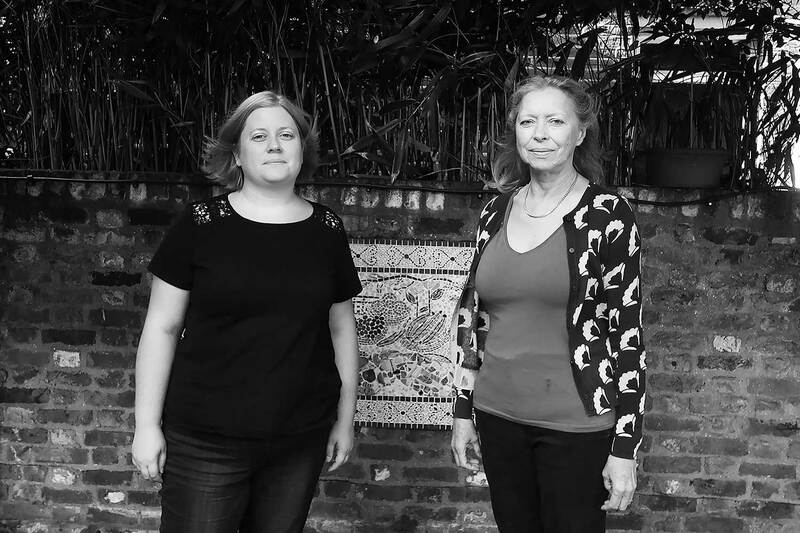 As a little girl, she remembers staffing the shop (‘I think I got paid £2 an hour’) on Sundays when her mother was working there, and she is an enthusiastic home-baker. 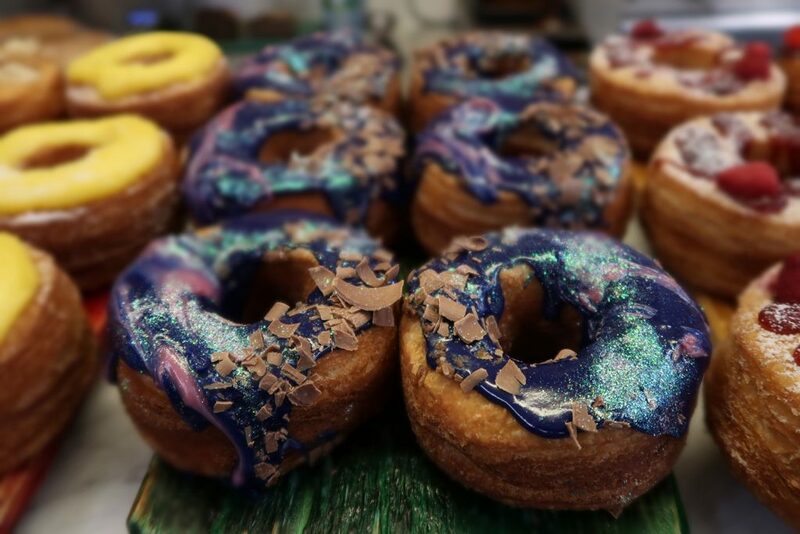 Her father is a Master Baker who has made cakes for the Queen and is still very active in the business, but Rinkoff is now the family’s social media and marketing whizz and came up with the idea for crodoughs which are now their best-selling product. Rinkoff was inspired by seeing a photo of Dominic Ansell’s ‘Cronut’, which became a huge hit with New Yorkers, online. She wanted her father to come up with a recipe for making something similar in the UK, but he told her ‘It will never sell’. Undeterred, Rinkoff kept experimenting until one of the bakers managed to make a prototype ‘Crodough’. She put it online, sharing it on Twitter and Facebook and it did the pastry equivalent of going viral. Her dad has now had to eat his words. The Crodough, as its name suggests, is a culinary mash-up of the croissant and the doughnut. The croissant pastry is fried like a doughnut to give extra height and a layered effect, then various fillings are added such as custard, salted caramel and chocolate. One particularly eye-catching design, the Galaxy, has a chocolate filling and a swirl of beautiful metallic colours on top. One wonders if that was the one that caught Lily Allen’s eye – the celebrity tweeted that she was a Crodough fan. However, the Crodough is far from being all they do. Rinkoff explains that their wholesale customers tend to go for burger buns, hot dog buns and brioches. Ever the trendspotter, she has noticed vegan bakery is something their customers are requesting more and more. Vegan brioche is not technically possible but Rinkoff’s make vegan buns using their challah dough (which is sometimes made with eggs but can be egg free). Rinkoff is currently working on a vegan banana bread recipe (taste tests with a vegan fourteen-year-old were very successful, Roman Road can report, with rapturous cries of ‘This is delicious!’). ‘Substitute vegan margarine for butter and use oat or nut milks’ is her advice for home vegan bakers, and she enthuses about using the water from cans of chickpeas (known as aquafaba) for making vegan meringues. 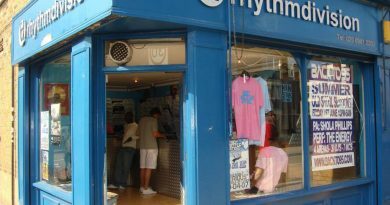 However, their core customers aren’t vegan – their best selling sandwich is the smoked salmon and cream cheese beigel. The official Rinkoff’s pronunciation, by the way, is ‘Bigel’ (with a hard g), not ‘Bagel’ which is more of a New York style. Some of their older customers are Jewish: their most loyal customer, who is in her eighties now, has been coming to buy her bread in the store since Jennifer’s grandfather ran it. 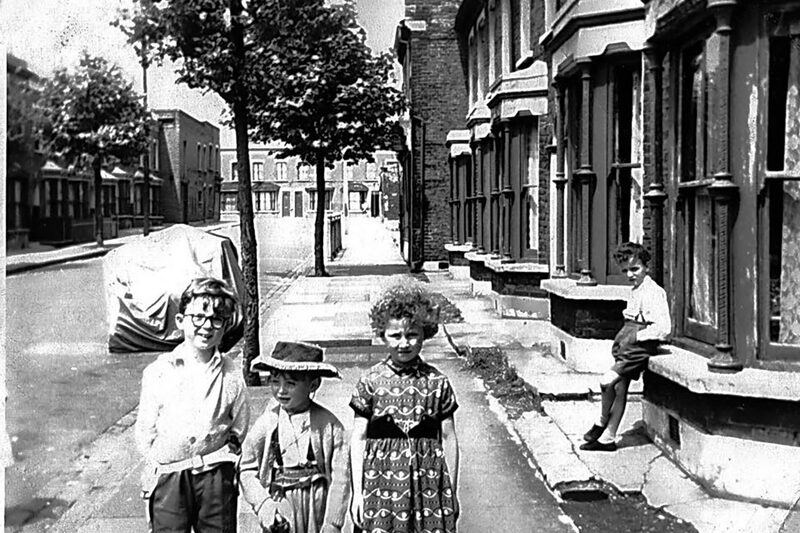 Other non-Jewish Eastenders also fondly remember childhood visits to buy bread and cheesecake and come back with their own children. We asked Rinkoff if her son, currently fourteen months old, will be popping up behind the counter any time soon. ‘He’s definitely a foodie – he eats so much! I’d love him to come in for a weekend job when he’s older’. With her two uncles Derek (in accounts) and Harvey (head of sales), nephew Lloyd (bakery/logistics) and sister Debs (in the office) also working in the bakery business, there’s always likely to be a Rinkoff in Rinkoff’s. If you love traditional bakeries and family businesses, have a look at our piece about Breid Bakery.